Introducing the GQ Men of The Year watch for 2017, designed with the elegant modern man in mind. 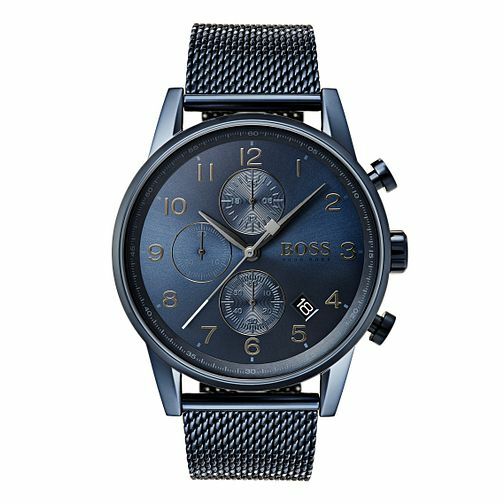 This PVD plated watch by Hugo Boss features a blue dial and a matching blue PVD plated bracelet with a fold over clasp. Arabic numeral numbering, a date window and 3 additional counters completes the sophisticated feel of this versatile timepiece. Battery powered Quartz movement. Hugo Boss Navigator Men's Ion Plated Blue Bracelet Watch is rated 5.0 out of 5 by 2.